$61.235 million on 3777 screens. Some folks wonder why studios would remake bad movies. I feel the opposite way: I think it’s nuts to rework good films, but it makes total sense to redo crummy ones. Many weak flicks boast positive potential that they simply fail to realize, so a second try could come with positive results. 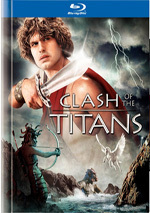 While I wouldn’t call 1981’s Clash of the Titans a bad movie, it certainly wasn’t a particularly good one, either. This meant that I greeted the idea of a remake with some optimism. I felt the first version showed signs of life, so I hoped the new one would let the tale live up to its potential. Or maybe not. Perhaps we’ll get a third take on Clash in 2039 and it'll be a winner, but the 2010 version offers only fitful entertainment. In a prologue, we learn of a “time before man” during which titans ruled the universe. Their children defeat them to take control of the stars. Zeus (Liam Neeson) convinces his brother Hades (Ralph Fiennes) to create a monster that can topple their parents, so the latter forms a monster called the Kraken. This does the trick, so Zeus becomes king of the heavens, brother Poseidon (Danny Huston) gets the seas, and Hades takes over the underworld – against his will, as Zeus tricks him into this. Zeus creates humans and feeds off their prayers, but matters become iffier when people start to question the gods – and thus pray less often. In the midst of this, a fisherman named Spyros (Pete Postlethwaite) discovers an infant Perseus afloat in a coffin with his dead mother. Spyros takes in Perseus and raises him as his son. Perseus grows to be a man (Sam Worthington) and witnesses the ramifications of the failing bond between human and god. When soldiers from Argos destroy a statue of Zeus, Hades unleashes destruction on them. In the area at the time, Perseus survives, but his family perishes. Hades persuades Zeus that he needs to wreak havoc among the humans to reignite their religious fervor. Hades attacks the camp of King Kepheus (Vincent Regan), the leader of the anti-god movement. Hades gives the king an ultimatum: either sacrifice Princess Andromeda (Alexa Davalos) or in 10 days time, he’ll send the kraken to do his nasty business. Along the way, Perseus learns the truth about his origins. It turns out that Zeus came to earth in the guise of another anti-god king (Jason Flemyng) and knocked up that king’s wife (Tine Stapelfeldt) as revenge. King Acrisius plopped Queen Danae and baby Perseus into a coffin and set it adrift, but the demi-god Perseus survived until Spyros found him. Armed with the knowledge of Perseus’s special powers, King Kepheus badgers him to deal with the danger. Perseus resists until his immortal mentor Io (Gemma Arterton) reveals that this is his destiny. Perseus agrees, primarily because the death of the Kraken will weaken Hades and let the hero take his revenge on the god. 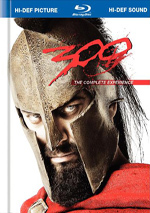 This sets Perseus, Io and various soldiers on a mission to save humanity. One basic question initially greets the 2010 Clash: is it better than the 1981 edition? Yeah, probably, but not by much. It becomes somewhat hard to compare the two due to their different eras. Sure, much of the 1981 flick looks dated and campy to us now, but it seemed less so 29 years ago, and some aspects of the 2010 version that work okay currently are unlikely to age well. Especially the effects – well, at least some of the effects. Elements like the giant scorpions actually look quite good, but a lot of other CG components fare less well, and the animated Medusa is a disaster. She resembles a character out of a videogame, not something fit for a big-budget 2010 feature film. The Medusa animation is so poor that it threatens to take the viewer out of the story. Not that the movie does much to involve us in the plot anyway. The structure of Clash follows: action scene – boring nonsense – action scene – boring nonsense, etc. Granted, one could claim the same of the episodic original film, and plenty of other action movies suffer from the same lapses; when they leave the kinetic, they become dull. Nonetheless, I think this issue seems especially severe here. Director Louis Leterrier knows his way around an action scene, and some of the ones in Clash prove to be pretty thrilling. The giant scorpion attack boasts fine momentum, and the climactic Kraken battle packs a wallop as well. Were it not for the poor effects, I’d really like the Medusa fight as well. Unfortunately, Leterrier just can’t do anything with the expository sequences. These really do feel like filler between action scenes, and none of the characters ever stand out as intriguing. At no point could I remember the names of any of the soldiers – and at no point did I care. They were little more than obvious cannon fodder; they probably should’ve worn red shirts. They couldn’t have been more generic and anonymous if they’d tried. The same goes for our lead, and that creates a bigger problem. Almost out of nowhere, Worthington emerged to play in three major films over the span of less than a year: in addition to Clash, he starred in 2009’s Terminator: Salvation and Avatar. I liked Worthington’s performance in Salvation but felt less enchanted with his work in Avatar. The same goes for Worthington’s turn as our hero here. Were it not for his performance in Salvation, I’d view Worthington as the least charismatic action hero since Keanu Reeves. He displays exceedingly little personality as Perseus; he looks fine in the part, but he just can’t manage any real emotion or character. Nor can the rest of the movie, and that leaves Clash as a series of good action scenes in search of a compelling story and characters. When the flick sticks with mayhem, it entertains. Unfortunately, we’re stuck with more than an hour of non-action sequences, and those drag it down to a level of blandness. 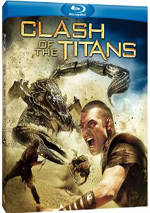 Clash of the Titans appears in an aspect ratio of approximately 2.40:1 on this Blu-Ray Disc. Across the board, the movie looked great. If any problems with sharpness manifested themselves, they eluded me. No issues with softness arose during the movie. Instead, the image always remained nicely detailed and well defined. Jagged edges caused no concerns, and neither shimmering nor edge enhancement appeared. Print flaws remained absent. Never did I notice signs of specks, grit, or other problems in this clean transfer. In terms of hues, Clash went with a somewhat airy palette. It tended toward a low-key sense of color that favored a diffuse look, especially when we saw the gods. Scenes on earth also lacked bold tones, as they went with a stripped down appearance. Within those parameters, I thought the colors were good; they represented the visual design well. Black levels also were very positive, as dark elements appeared deep and bold. Low-light shots demonstrated appropriate levels of opacity but didn’t come across as dense or thick. Ultimately, I thought the transfer worked nicely. I also felt very pleased with the DTS-HD MA 5.1 soundtrack of Clash. All of the action scenes ensured that the mix offered plenty of involving material. The chaos filled out the spectrum in an active, involving manner that created a lot of exciting audio. All five channels featured plenty of unique elements, and they fit together in a fine manner. Even quieter scenes used the soundscape in a satisfying manner. Music featured nice stereo imaging, and we found some localized dialogue as well. When we shift to the disc’s extras, we open with Maximum Movie Mode. A staple of WB Blu-rays, this provides a series of components that accompany the film. We find a mix of interviews, behind the scenes footage, and elements like pre-visualization clips. In the soundbites, we hear from director Louis Leterrier, producers Basil Iwanyk and Kevin De La Noy, production designer Martin Laing, marine coordinator Robin Davies, visual effects supervisor Nick Davis, writers Phil Hay and Matt Manfredi, MPC CG supervisor Patric Roos, MPC visual effects supervisor Gary Brozenich, costume designer Lindy Hemming, hair/makeup designer Jenny Shircore, animal coordinator Gill Raddings, special effects supervisor Neil Corbould, Cinesite visual effects supervisor Simon Stanley-Clamp, character designer Aaron Sims, animatronics senior technician Peter Hawkins, aerial DP Hans Bjerno, stunt coordinator Paul Jennings, MPC animation supervisor Greg Fisher, and actors Sam Worthington, Liam Neeson, Ralph Fiennes, Gemma Arterton, Mads Mikkelsen, Alexa Davalos, and Jason Flemyng. They cover the film’s development and pre-production, story areas and adapting the original flick, sets and locations, various effects and visual design, storyboards and previz, cast, characters and performances, costumes, hair/makeup/costumes, stunts, the use of animals on the shoot, and a few other topics. Prior “Maximum Movie Modes” have been pretty hit or miss, but Clash offers one of the series’ better iterations. It provides info on a nearly constant basis, and the material almost always proves to be useful. “MMM” goes over a broad array of topics and digs into them well, as the mix of interviews and other elements develops the production in a strong manner. I always lament the lack of a true audio commentary, but “MMM” offers a satisfying take on the flick. Under Focus Points. we find 10 featurettes that fill a total of 35 minutes, two seconds. These include “Sam Worthington Is Perseus” (3:43), “Zeus: Father of Gods and Men” (2:18), “Enter the World of Hades” (3:29), “Calibos: The Man Behind the Monster” (2:58), “Tenerife: A Continent on an Island” (4:25), “Scorpioch” (4:06), “Actors and Their Stunts” (3:51), “Wales: A Beautiful Scarred Landscape” (2:31), “Bringing Medusa to Life” (3:48), and “Prepare for the Kraken!” (3:55). Across these, we hear from Worthington, Leterrier, Iwanyk, Flemyng, Neeson, Hemming, Fiennes, Shircore, Davis, De La Noy, Arterton, Stanley-Clamp, Mikkelsen, Jennings, Davalos, Corbould, Laing, Sims, Brozenich, prosthetics supervisor Conor O’Sullivan, location manager Terry Blyther, supervising location manager Robin Higgs, stunt double Mark Mottram, associate producer Karl McMillan, Cinesite CG supervisor Quentin Miles, Medusa lead modeler Scott Eaton, Framestore animation supervisor Max Solomon, and actor Liam Cunningham. The “Points” cover cast and characters, costumes, hair and makeup, effects and stunts, sets and locations, and a few other nuggets. Like the “MMM”, “Focus Points” are another WB Blu-ray staple that can vary from consistently informative to intermittently useful; they’re never a total loss, but some collections work better than others. The “Points” for Clash trot down the middle. They can be fluffy at times – especially when they praise the actors – but they also include a lot of good notes. Heck, even the actor-based pieces throw out some nice nuggets, such as when we learn more about the gods’ complex costumes. While some of the clips fare better than others, they usually give us quality material. Another featurette follows. Sam Worthington: An Action Hero for the Ages fills seven minutes, 56 seconds with info from Iwanyk, Worthington, Leterrier, Jennings, Flemyng, and Arterton. “Hero” mostly look at Worthington’s work on the film, and it leans toward puffy praise. Nonetheless, it throws in more nice footage from the set, so it’s worth a look. In addition to an Alternate Ending (5:23), we find 10 deleted scenes; these run a total of 18 minutes, 10 seconds. The “Ending” gives the movie a bit of a darker finish; I don’t know if it works better, but it adds a certain edge. As for the deleted scenes, they tend to focus on characters not well explored in the final film. We get more of events back in Argos with the king, the princess and the townspeople who clamor for sacrifice, and we see more of the gods, with an emphasis on Perseus’s half-brother Apollo. We don’t find much of him in the release flick; I suspect he got the boot so we’d watch more of Zeus. One of the deleted scenes is close to one in the final movie except Zeus replaced Apollo; I guess the filmmakers wanted more Neeson. Anyway, the cut sequences add some decent exposition but aren’t terribly fascinating. 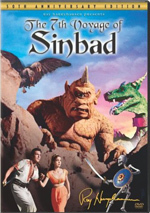 A second disc provides both a digital copy of Clash for use on computers or digital portable gadgets as well as a DVD copy of the film. This delivers a barebones package, so don’t expect any extras. With a series of good action scenes, Clash of the Titans could’ve been a satisfying adventure. Unfortunately, dull exposition and forgettable characters negate the film’s positives and make it a bit of a chore to watch. The Blu-ray provides terrific picture and audio along with a good collection of supplements. I feel pleased with all aspects of this release, but the movie itself is decidedly mediocre.